Imagine a phoenix rising from the ashes. But it’s made from 12,072 homemade paper feathers, painted, cut out and trimmed to appear as realistic as possible – and designed by a 16-year old. This couture might have been inspired by fashion designer Alexander McQueen, but it is made from IKEA mattress packaging, dust sheets and garden canes. Like a phoenix, this everyday junk has reborn with a new purpose and destiny. Now imagine another 80 fashionistas stomping down a catwalk in trash fashion with a message in the hope of becoming the Bank of Ireland Junk Kouture champion. At a time when the whole world seems hell-bent on throwing away, the pioneering souls behind Junk Kouture are doing the opposite. 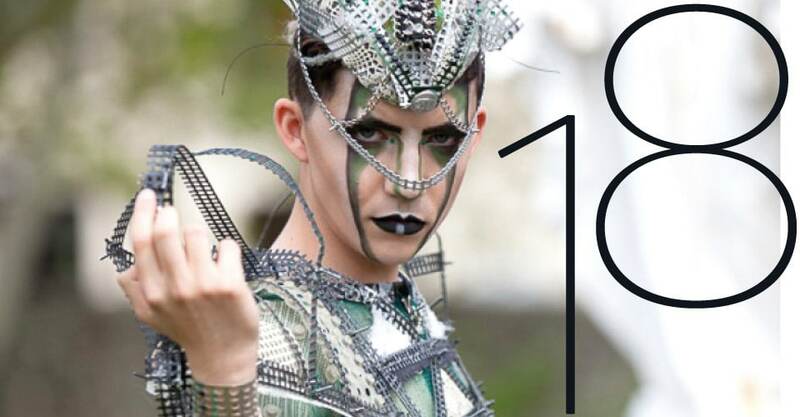 Now in its eighth year, it has established itself as the premier recycled fashion competition for teenagers throughout Northern Ireland or the Republic of Ireland, has expanded to Scotland, and is getting a global reputation. 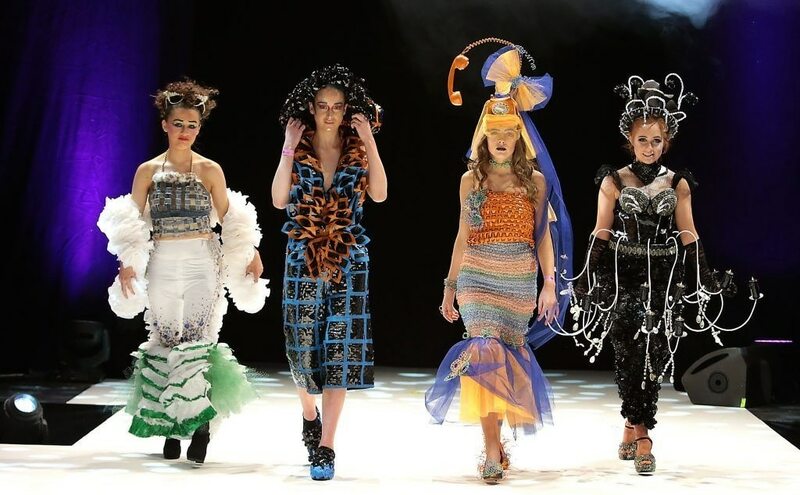 Second-level pupils aged from 13 to 18 are invited to create wearable art and outrageous couture trash fashion. The challenge is to rework ‘junk’ like vinyl records, cattle tags, orange peels, old computer hard drives and other already used materials that are beyond their intended purpose and to craft them into eye-catching bespoke fashion designs. Elizabeth and Troy partner with over 500 secondary schools across Ireland each year to deliver a range of educational programmes. 2018 saw over 4,600 kids take part in the competition with 1,700 creations entered. Entrants’ work has appeared on red carpets and catwalks across the world. Encouraging school kids to take responsibility by reusing, recycling and refashioning junk is the right way forward for a cleaner future. And the finalist might just turn up the next Alexander McQueen. Junk Kouture was mapped by Fashion Revolution‘s Carry and Orsola in their AtlasChart Top 5 – a journey through the founders’ favourite projects from Ireland to Bangladesh. Tags: Awareness raising, Competition, Culture, DIY, Environment, Fashion, Information, Media, Plastic waste, Pollution, Recycling, Sanitation, Students, Training, Waste, Wearable art.